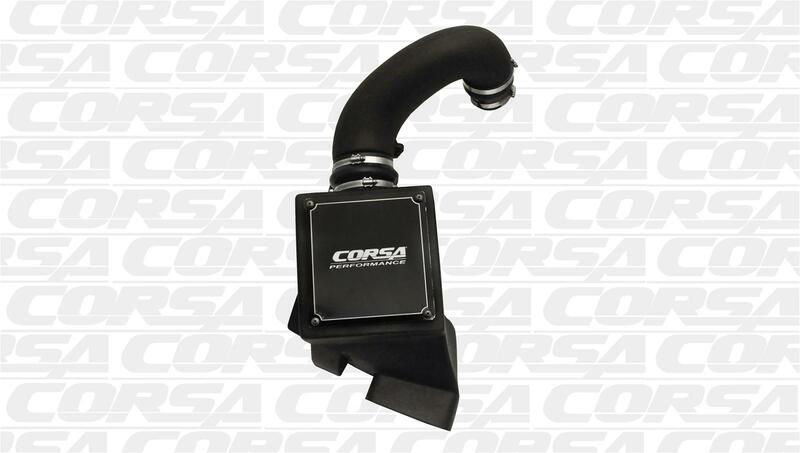 Corsa PowerCore Performance Air Intake 09-12 Dodge Ram 5.7L Corsa PowerCore Performance Air Intake 09-18 Dodge Ram 5.7L, CORSA 44405 Air Intake System, Dodge Ram Corsa Intake, Dodge Ram Cold Air Intake, Dodge Ram Intake, Dodge Ram Intake System, Dodge Ram Cold Air Intake System, Dodge Ram Corsa Cold Air Intake [CORSA 44405 Intake System] - $328.95 : 3rd Strike Performance, Your Source for Late Model MOPAR Performance Parts and Accessories! Corsa PowerCore air intakes optimize your engine's performance. Through the use of special technology of PowerCore Filtration that directs air through specifically designed channels and allows clean air to efficiently enter your engine. Corsa's filter boxes are designed to increase air volume in your application and minimize the hot air from entering, while the unique sculpting of the larger-diameter air ducts maximizes your engine's breathing capabilities for optimum horsepower. The intake's silicone connectors provide flexibility, while still maintaining strength and thermal stability. Closed box air intakes with PowerCore technology are your engine's best bet to breathe healthy and perform up to your expectations.